Another blockchain for smart contracts? As surprising as it might sound, there’s a respect for incumbency even in the world of cryptocurrencies. As such, when the upstart EOS protocol launched last year with the ambition of improving on innovations like ethereum (themselves just a few years old), incredulity was in ample supply. Intervening months haven’t exactly helped this perception. But despite the skeptical experts, not to mention the very public derision of talk show host John Oliver, the EOS project has raised more than $2 billion in ether from the sale of EOS tokens, which will power its forthcoming network. It’s a notable success given the ICO was done differently than most other issuers, starting in summer 2017 and staying open through a series of auction periods through June 1 of this year. Still, less than a month away from the sale’s conclusion (and the platform’s long-awaited launch), EOS is finding itself back again in the conversation. The price of the crypto token is steadily rising, something that has the interests of investors piqued, especially so given that gains haven’t exactly been easy to find. The crypto token’s latest pump, though, notably coincided with a bullish report from crypto fund Multicoin Capital, which took a deep dive into the promise of what’s being billed as a next-generation platform for smart contracts. It’s quite the promise, too – Block.one touts its platform as a faster, cheaper way to execute smart contracts than rivals ethereum and NEO. Additionally, it claims user experience upgrades, such as mechanisms for account recovery and human readable addresses, built in at the protocol level (as opposed to top layers). And with that, Multicoin effectively re-opened the debate among crypto community leaders about whether EOS will actually solve blockchain’s scalability problems or is anything more than vaporware. And some, including Ryan Selkis, the founder of Messari Capital, are leaning more towards the later. Following Multicoin’s blog post, Selkis focused in on the project’s epic valuation, in his on-again, off-again newsletter, The Daily Bit. Part of the reason Selkis and others are skeptical is that the project hasn’t even launched yet. EOS tokens currently exist as tokens on the ethereum blockchain – and investors have been getting those tokens on a rolling basis – but eventually those tokens will need to be converted into something designed more specifically on EOS and its technology. But it’s not only that there’s no “utility” for the tokens yet, it’s the individuals engaged in the project that have still captured most of the conversation. For instance, most of the attention on EOS over the last year has stemmed from the involvement of controversial investor Brock Pierce, although he and Block.one officially parted ways in March. Pierce aside, project founder and CTO Dan Larimer has also taken his fair share of criticism, with many alleging EOS will end up like former projects such as BitShares and Steem, which haven’t quite replicated early successes after he removed his involvement. Block.one did not reply to a request for comment from CoinDesk. In this way, some worry about the community that will gather around EOS. Since it’s an open-source project, it’s strength will depend on developers willingness to continue developing it once it is released into the world. But currently a large portion of the tokens are being turned over to large hedge funds to manage and make large investments in the building of the ecosystem, which some believe won’t see the money allocated to the correct things. Selkis points this out in his post, contending that ethereum growing from developers investing their money and elbow grease makes it a more stable project than EOS, which he argues was born at the height of the unrestrained ICO-mania. That said, Multicoin takes the opposite stance. As outlined in its work, it believes the community developing around EOS might actually offer an interesting counterpoint to those that gathered around earlier networks, arguing that its community could be more willing to make trade-offs deemed too unorthodox for other platforms. For instance, MultiCoin wrote a follow-up blog post arguing that EOS may be stronger than it seems by sacrificing on decentralization, contrasting it with protocols like bitcoin and ethereum, which have tended to argue censorship-resistance is a key feature, and thus have effectively employed large networks of individuals who run the computers necessary to process transactions. In contrast, EOS will only use 21 validators with a slew of backup validators ready to take over if one of those validators fails or misbehaves, though the project’s creators believe these disadvantages are more than made up for by faster throughput. Still, it’s in some ways a minority view. Spencer Bogart, a partner at Blockchain Capital, wrote a Medium post about decentralization and why there’s really no censorship-resistance that counts if it isn’t maximum resistance. 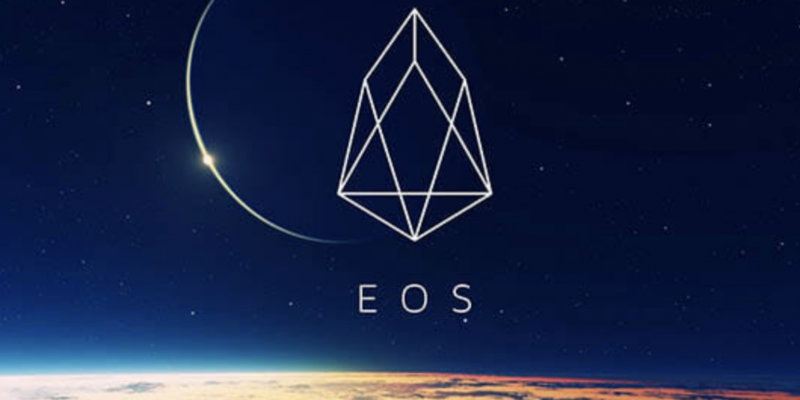 That said, EOS may in some ways be part of a larger trend that finds newer investors perhaps more willing to pursue novel design choices. For example, Bogart told CoinDesk that his post wasn’t meant as a specific response to MultiCoin’s report, but to a larger trend he sees in the space, of protocols that trade some level of decentralization for scalability, of which EOS is a good example (but so is Ripple and Stellar). Bogart’s point isn’t that EOS is worse than ethereum, but that in the end comparing it to ethereum is the wrong comparison. Blockchain Capital invested in Block.One, the builder of EOS, and Bogart said he appreciates every effort on the spectrum, but he sees what may be a glut of projects far from either pole. Still, even with that more nuanced conclusion, he seems unsure of what to make of trend exactly. “I see a lot of people rushing into this middle ground, but what if that middle ground is no man’s land?” he asked. Looking ahead, however, the market may ultimately play the role of decider.